#1. In the event of an emergency, you MUST call your insurance company as soon as possible so as not to negate or reduce any allowable coverage defined in your policy. Some companies will reduce the amount of coverage you are eligible for if you do not call them within a specified time period, at times you will not be allowed to claim expenses that have not been pre-approved by the Claims centre. The insurance companies do this to control costs, and when you call them they will ensure you get the best care possible as early as possible - which lowers their costs. Not telling anyone you think you might need to go check out some chest pain doesn't help you, and that won't help them minimize costs! They may even choose to fly you home rather than have a procedure occur in the United States, if it's deemed medically and ethically safe to do so. They would rather help you every step of the way to ensure you get access to all your medical options through the Canadian medical system rather than limit your options in the United States, for example. Sometimes it may seem like this is simply to help them reduce costs, which they do want to do. Medical emergency coverage is not meant to include optional services. It's not priced that way. The fact that you might be flown home to limit costs may work in your own favor as the Canadian system could present you with better/more options for care. Regardless, the reason they need to be called is so they have a chance to become involved at an early stage in the claim. Their Claim centres are better versed in worldwide medical care than you are, and will work on your side to ensure your questions are properly answered, that you are aware of what your medical options are, and that you get immediate attention before things get worse. Having policy holders call them right away has proved invaluable in both helping the policy holders and to help them limit costs and lower any dissatisfaction with the claims process. +1 (519) 945-8346 collect to Canada from anywhere else in the world. You must notify us at 1-866-878-0192 or collect at 416-646-3723 prior to any emergency medical treatment and prior to any surgery, invasive procedure or hospitalization. For medical emergencies and assistance we're available 24-hours a day. 7 days a week. IN THE EVENT OF AN EMERGENCY: You must call Global Excel Management Inc. Visitors to Canada: toll free from North America 1-866-222-0079 or collect 0-416-642-2970. #2. As soon as the reason for a claim arises, you should re-read your policy, to make certain that you are aware of what you will be asked for in order to submit your claim. Your policy number and the patient’s name (married and maiden, where applicable), date of birth and Canadian provincial or territorial government health insurance plan number (including the expiry date or version code, where applicable). All original itemized bills from the medical provider(s) stating the patient’s name, diagnosis, all dates and types of treatment, and the name of the medical facility and/or physician. For prescription drugs, the original prescription drug receipts (not cash receipts) from the pharmacist, physician, or hospital indicating the name of the prescribing physician, prescription number, name of preparation, date, quantity and total cost. For a Multi-Trip Annual Plan, proof of the departure date and return date. A completed and signed Mandate/Authorization Form. A Mandate/Authorization Form means the form provided to you by Global Excel when notice of claim has been given, which you must complete and sign for the purpose of allowing the Insurer to recover payment from any other insurance contract or health plan(group, individual or government). For out-of-pocket expenses, an explanation of expenses accompanied by original receipts. If the Emergency Air Transportation benefit is used, the unused portion of your air ticket. #3. 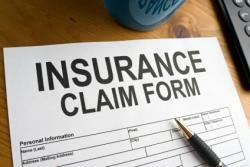 You are responsible for following the Claims procedures spelled out in your policy. To make this easy for you, please carry your policy number with you, along with the emergency numbers to call, and have a copy of your policy document with you for reference.